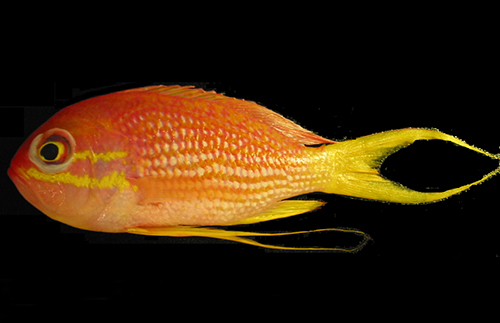 The bulky, deepwater fishes of the genus Odontanthias are some of the most lusted after anthias in the aquarium trade. The majority of this group’s diversity is found in the Indo-Pacific, where at least 14 species are known. By far the most frequently seen of these is the beautiful and expensive O. borbonius, but several other rarely seen species pop up now and then, such as the bright-yellow Hawaiian endemic O. fuscipinnis and the still undescribed O. cf katayamai found in Japan. 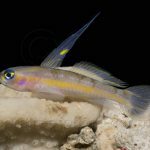 Things are considerably more sparse in the Atlantic Ocean, with the only species known from the region being the recently described O. hensleyi from Puerto Rico, but we now have a second member of this group in the Western Hemisphere thanks to the discovery of a single specimen from the isolated reefs of St. Paul’s Rocks in the Central Atlantic. 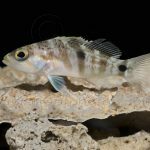 This new fish is unfortunately only known from a single immature female that was found near death in shallow waters, and it had already been partially eaten, destroying much of the highly informative caudal fin shape, but the combination of fin rays and gill rakers identified this specimen as something new. 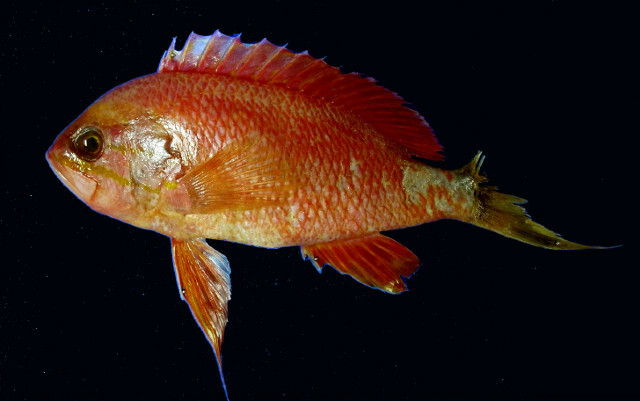 The coloration is mostly red, with three distinctive yellow lines behind the eye, which led the authors to suggest the common name “Red Jewelfish” for this species. 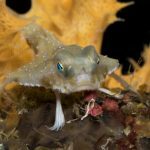 Of course, with this individual not yet fully developed into a male, it’s possible this species will be found to have an even more impressive appearance when fully mature. The scientific name, O. cauoh, is said to be a nickname of “Carolina”, which is the name of the author’s daughter and also a local term for the fish from these waters. 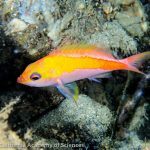 Though it has thus far only been found in the isolated reefs of St. Paul’s Rock (AKA São Pedro and São Paulo Archipelago), it is likely that this new anthias occurs throughout the reefs of the Central Atlantic. 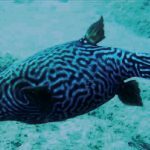 It might also be expected in the deeper waters of the Brazilian coast, as these reefs are still quite unexplored, and, with this genus now well-represented in the Western Atlantic and Indo-Pacific, it seems quite probable that there might be an as yet undiscovered member of this group lurking in the mesophotic reefs of West Africa, as these reefs have also seen little exploration.